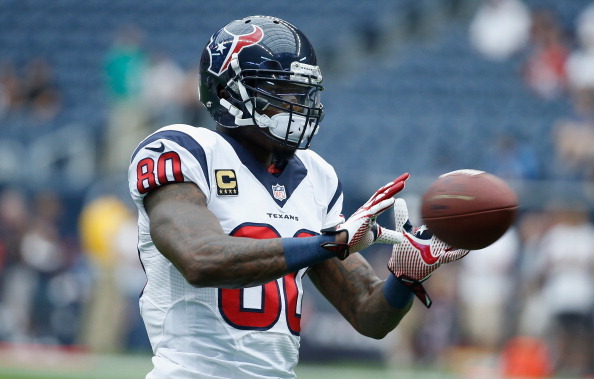 New York Jets: Trading for Andre Johnson? York Jets a golden opportunity. There have been rumors out of Jets camp that the team is talking to the Texans and trying to bring in Johnson. The problem? It looks like the Texans want Michael Vick in the deal. Vick for Johnson straight up? Sounds like the Jets should pull the trigger. Sure Andre Johnson may seem selfish by not attending the Texans OTAs, but wouldn’t you if you’ve only made the playoffs twice in your eleven year career? Johnson should be upset. The Texans did not draft a quarterback in the draft, traded their starting one to Oakland, and are telling Johnson that Ryan Fitzpatrick is going to be the starter. Yeah, I can see why Johnson wants out. Who wants to play for an organization that put no effort into improving the quarterback position and doesn’t seem to be putting out a good effort. Johnson would be a perfect pairing with Eric Decker in New York. Even at 32, Johnson still has blistering speed and is a legitimate number 1 receiver. Add in Decker, Kerley in the slot, and Amaro at tight end and the Jets could have one of the best receiving corps in football. Meanwhile, the Texans would get a dynamic quarterback who could be the final piece to a playoff roster. With the great defense in Houston coupled with the weak AFC South, putting Vick on the Texans would make them a playoff team. 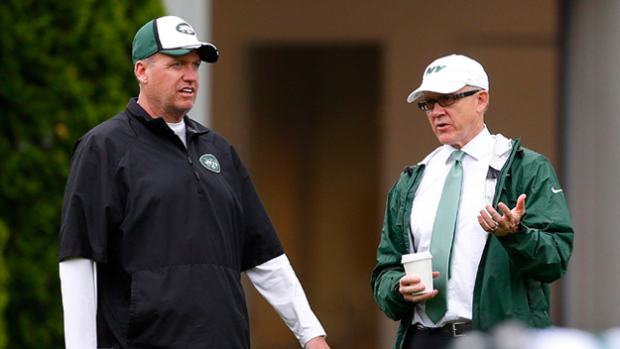 While it may hurt the Jets to trade Vick, the upside of the trade is too great. Geno has looked great in OTAs and the Jets have strongly hinted he will be the starter. With Vicks ever-changing moods and comments in the New York media, it could be the best decision to cut this possible distraction down the road. The Jets would not have a legitimate backup, but they could possible pick up a veteran if one is cut in training camp. Not to mention Johnson’s presence would help Geno develop. Johnson has some of the best hands in the league while also have the ability to stretch the field, something Gang Green has desperately been lacking for the last two years. This trade would be a win win for both organizations. The Texans move a disgruntled receiver and get a quarterback that could get them back to the playoffs. The Jets jettison a quarterback who already is clamoring for playing time while getting a big time receiver to help Geno Smith mature as a quarterback. Who knows? Maybe this move will help both teams to reach the playoffs. This is one deal that should be made. Previous A Diplomatic Solution for Redskins Controversy? ?